The Game Developers Conference 2019 is almost upon us and ‘cloud gaming’ seems to be the central theme of the event. 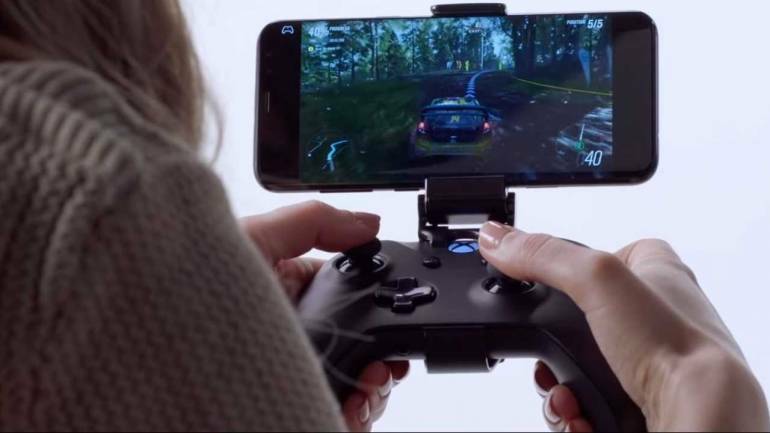 Google, Microsoft, Nvidia and several other big names in the gaming and technology industry are attempting to create a new hardware-less era in gaming. Gaming is a rather costly affair, PC hardware doesn’t come cheap, while gaming laptops are outright expensive. Getting high performance and incredible graphics in AAA games requires demanding hardware that doesn’t come cheap. Thus, most average gamers tend to reduce settings and compromise the entire experience. Cloud gaming aims to end this compromise in gaming performance by limiting the utilisation of PC hardware. Rather than game on a personal laptop or PC, cloud gaming attempts to utilise powerful PC hardware in a remote location and then stream the game from a server in a data centre over the cloud onto a private platform. How would cloud game streaming work? This ensures that despite the configuration of your PC or laptop, you’d be able to run demanding AAA titles with a strong data plan. Cloud gaming could open up new realms of possibilities enabling people to start a game on one platform and switch to a more convenient platform as per their convenience. For example, You’re streaming a game from the cloud onto your PC. After a while, you have to quit halfway through the game and leave for work. Only with cloud gaming, rather than abandoning the game, you can stream the same game on to your phone and simply pick up from where you left off on the PC. What role would 5G play in cloud gaming? With the advent of 5G, the prospects of cloud game streaming are brighter than they’ve ever been in the past. 4G LTE has a peak speed of 1GB per second, while 5G can achieve speeds of 20GB per second. Cloud gaming was meant to redefine the concept of portable, mobile gaming and nothing makes this more possible than 5G. Sony and Nvidia were the first to adopt the concept of cloud game streaming, but Internet connections at the time just couldn’t keep up with the high demands of PC and console gaming over the cloud. However, times have changed, and faster internet connections are more accessible than ever before, which makes it an excellent time for a cloud gaming resurgence. And, Google’s Project Stream and Microsoft’s Project xCloudare perfect indications of that resurgence.